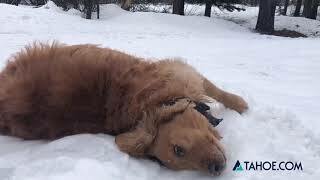 One of the many hidden gems of Truckee is Tahoe Donner Downhill Ski Area. 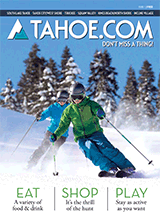 Compared to the many large, corporate ski resorts in the Truckee-North Tahoe area, Tahoe Donner Ski Area is small. But then again, that’s like comparing apples to oranges. Ask locals where their kids learned to ski and there’s a very good chance it was on the slopes at Tahoe Donner. The ski area prides itself on being family oriented. It is the only hill area in the region that starts its instruction programs with children as young as 3 years old. The learning isn’t only for the young either. Ski and snowboard lessons are available for adults in individual or group settings. The ski area has recently invested in a number of upgrades including snow-making equipment and a new trail. The 120 acres of skiable terrain accesses 15 runs and three terrain parks by one quad chair, one double chair and three conveyor lifts.